My name is Visakha Priya dasi. I would like to share some good news with you. We now have an ashram for ISKCON women on the Vrindavan parikrama road, a three-minute walk from the Krishna-Balaram temple. Known as the "Kirtan Ashram," it is an elegant, two-story structure, with ample room for seminars and festivals. This Kirtan Ashram project is unique so far, the first project dedicated to the women of our movement. We undertook this project with the hope that it will serve as a prototype for similar projects, not only in the dhama but also all over the world; for we will need many such places to accommodate many hundreds of older devotees in their active retirement years. We are confident that the sight of this beautiful Kirtan Ashram will warm the hearts of dispirited ISKCON devotees by showing them an example of what can be done by the grace of Krishna and Vaisnavas. The ashram has ten residential rooms with attached bathrooms. It has a meeting hall adjacent to a large kitchen, a basement, and an outside patio, thus providing essential and variegated places of association for both residents and visiting devotees. Obviously, the Kirtan Ashram will be able to accommodate only a fraction of the Vaisnavis who may eventually want to retire in Vrindavan. Thus, the best use of the Kirtan Ashram will be to host the most senior preachers for limited periods of time-preachers who can give their association to other ladies who come to visit or stay in Vrindavan. And if we are fortunate enough to have some senior preachers who want to stay here for good, so much the better. 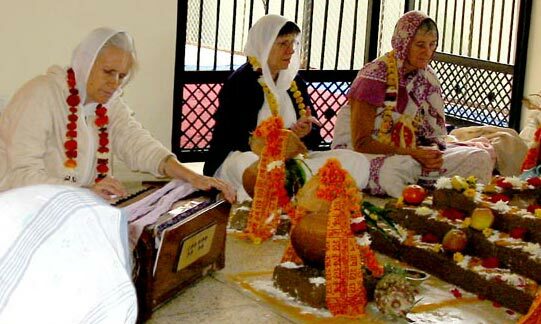 The Kirtan Ashram can serve as a model for other widows ashrams and can offer senior association and programs for the spiritual benefit of the ladies who stay elsewhere as well. This Kirtan Ashram is dedicated to His Divine Grace A. C. Bhaktivedanta Swami Prabhupada, who was always very concerned that all the ISKCON women should be give "the utmost protection." 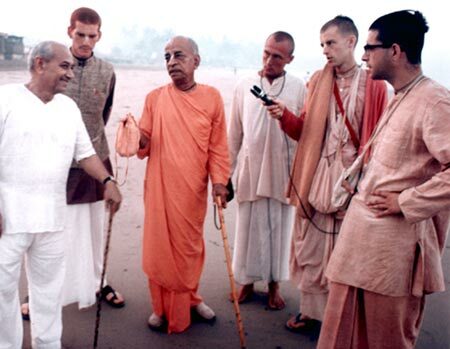 In 1988, my spiritual master, His Holiness Giriraj Swami Maharaja, sent me a quote from Srila Prabhupada's letter to Rupanuga Prabhu: "Women are looking for husbands because they feel unprotected so it is up to the senior members to give all protection to the women." I wasn't sure why my spiritual master had sent me the quote. I had been a devotee for only ten years and I was in a woman's body myself. Yet I could perceive that I was expected to do something. 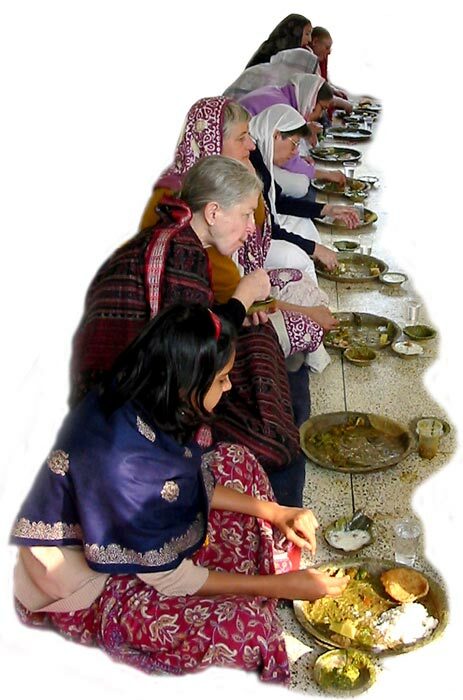 Around the same time, my spiritual master relayed to me a question an American devotee woman had asked him: Is ISKCON making any provisions for the elderly women who have served throughout their lives? Together with that question was a personal question to me: "What should I tell her?" I really had no idea. Yet, my spiritual master's question seemed to imply that I should be part of the answer. Over the next fifteen years I was involved with many services, ranging from Food for Life in South Africa to secretarial services in Bombay to writing and editing work for various ISKCON entities and projects in Vrindavan. Towards the end of 2001, necessity drove me to the old crumbling Kirtan Ashram, and shortly after I moved in I was asked to do a temporary fill-in for the manager of the ashram. This temporary service evolved into a lonely fight to build an entire new building, collect the funds for it, deal with hostile, corrupt, and incompetent forces, etc., etc. On December 17, 2004, when the building was completed and a small group of local devotees sat in front of the sacrificial fire, I suddenly remembered my spiritual master's letters from 1988. It dawned upon me that without being conscious of it I had just accomplished what he had wanted me to do: give protection to the women of ISKCON. Such is the potency of the pure devotee--simply by willing he can empower his surrendered servants to do things they could never do on their own. This dedication of the Kirtan Ashram to Srila Prabhupada is therefore made by me on behalf of his dear disciple H. H. Giriraj Swami Maharaja, whose very life breath is one hundred percent dedicated to the service of Srila Prabhupada and who is expert at training his disciples to surrender their lives to Srila Prabhupada's mission.